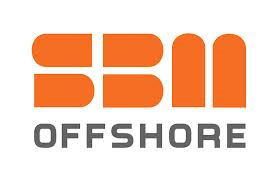 SBM Offshore has reached an out-of-court settlement ex Article 74 of the Dutch Criminal Code with the Dutch Public Prosecutor’s Office (Openbaar Ministerie) over the inquiry into alleged improper payments. Furthermore, the United States Department of Justice has informed SBM Offshore that it is not prosecuting the Company and has closed its inquiry into the matter. The settlement with the Openbaar Ministerie and the United States Department of Justice’s decision relate to payments to sales agents in Equatorial Guinea, Angola and Brazil in the period from 2007 through 2011. 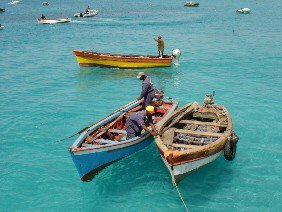 The out-of-court settlement consists of a payment by SBM Offshore to the Openbaar Ministerie of US$240 million. SBM Offshore will pay this amount out of its own funds and has already provided for it in the first half 2014 results. Payment will be made in three instalments, the first of which (US$100 million) has been paid. The two further instalments of US$70 million each will be due respectively on 1 December 2015 and 1 December of 2016. The company will not claim any tax relief over the settlement amount. While it is not yet certain how the various investigations in Brazil will affect SBM Offshore, the Company will soon reinstate its dialogue with Petrobras about the future of their relationship. The settlement with the Openbaar Ministerie is a result of the discussions between the Openbaar Ministerie and SBM Offshore, which started after SBM Offshore voluntarily informed the Openbaar Ministerie and the United States Department of Justice of its self-initiated internal investigation in the spring of 2012. The findings of the internal investigation were communicated in SBM Offshore’s press release of April 2, 2014. SBM Offshore fully cooperated with the Openbaar Ministerie and the United States Department of Justice. disciplinary actions against employees who were involved in or had knowledge of possible improper payments, including termination of employment agreements. Although the current Management Board and the Supervisory Board regret that in the past, SBM Offshore’s processes relating to the monitoring of its sales agents appeared to not have been of a standard that allowed SBM Offshore to ensure the integrity of the actions taken by its sales agents, SBM Offshore believes that with these measures it offers a transparent and open company to its clients and other stakeholders. SBM Offshore added it is confident that it established an enhanced compliance culture which embeds the core values of the company. The settlement allows SBM Offshore to shift its focus to the future, a future in which SBM Offshore will demonstrate its commitment to the highest standards of professionalism, integrity, quality and ethics put at work together with its leadership in technology at the service of its clients (SBM Offshore).